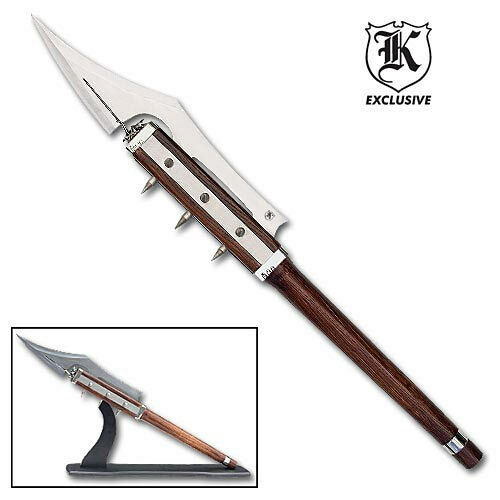 Spiked Warrior’s Axe | BUDK.com - Knives & Swords At The Lowest Prices! Stretching an amazing 29" overall with a piece of solid, mirror polished, stainless steel stretching through the center offering the 7 5/8" cutting blade and piercing spikes on two sides. The solid hardwood shaft offers superb gripping power. Includes table top display stand.